For those of you who were wondering where I’d gone, you’re in for a treat. I’ve spent the last 30 days putting the finishing touches on my first ever book, titled “At First Sight”, a collection of short stories based on some of my previous work. The manuscript is finally ready and is off to the printers for a last round of validation. 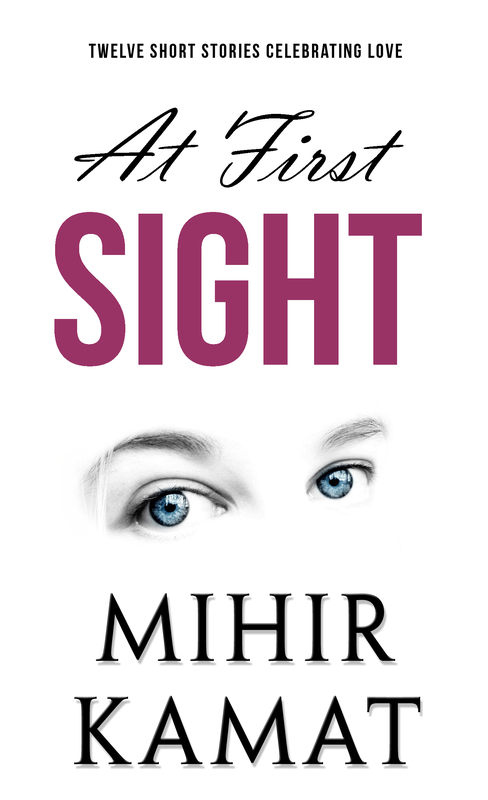 At First Sight is scheduled for launch on February 1, 2014. Watch this space for more on how to buy the book once launched. Here’s a blurb to get some buzz going! Join the author as he takes you on a journey into the magical world of love, where even a moment seems precious than a lifetime. At First Sight is a collection of short stories that touch upon delicate relationships in a special way, where each story explores the minds of its characters and how they go about their lives with love playing its part. Bear witness as a man declares his love for his woman. Feel close to a father’s heart as he cares for his newborn child. Or live the life of a grandfather for whom the happiness of his granddaughter means more than the world. Live each story as if it were your own. Let me know what you think via the comments section. Hope to hear from you soon. Next postAt First Sight – Now available in stores! Congratulations MD!!! I will buy the first copy.. Thanks DJ! Will let you know when and how to get one. Congratulations Mihir! I know the feeling. Wish you all the best with the book launch. Let me know if you’re making an ebook version too. Thank you so much! Yes, there will be an e-book version available on the Kindle store. I’ll post the details when we launch, please watch out for it. Thanks! I’m self publishing this one under my own banner – Mihir Kamat Books – and getting it printed using Amazon’s CreateSpace (for US/Europe) and Pothi.com (For India and elsewhere). Since I’m new to the book business wanted to do everything myself and setup a platform for future releases. Thanks so much! Will post on Facebook with details once launched!